Western military support for the Libyan resistance has raised urgent questions about the character of those fighting against the Qaddafi dictatorship. Barack Obama's speech on the Libya mission on Monday night did not specifically mention the rebels, as was quickly pointed out in an Associated Press analysis, though it repeatedly invoked the Libyan people and five times explicitly mentioned "the Libyan opposition." The president also announced "the broader goal of a Libya that belongs not to a dictator, but to its people." Qaddafi himself claims he is the victim of an al Qaeda plot, and it has been noted that a contingent of Libyans joined Osama bin Laden's forces. One such individual, Ali Mohammed al-Fakheri, known as Ibn Al-Sheikh Al-Libi or "the Libyan son of the sheikh," was a trainer for the terrorist network. He was captured by the United States in Pakistan in 2002 and interrogated, then sent to Egypt for more interviews, and finally repatriated to Libya. There he reportedly committed suicide in 2009, aged 46. But Muslims from throughout the world have joined al Qaeda; in that, Libya is hardly alone. Libyans protested violently against the Danish cartoons of Muhammad. And the Muslim Brotherhood certainly has a presence in the country. Are these reasons to question backing for the resistance? I think not. An examination of Libyan history, as well as of TV reportage on the resistance, provides an important indicator of the outlook of the anti-Qaddafi combatants. It must first be noted, however, that the Libyan resistance has little in common with other movements to which the United States has provided serious military help against genocidal dictators. Unlike the Libyan rebels, Kuwait in 1991 had a state apparatus that defied Saddam Hussein. Unlike the Libyan combatants against Qaddafi, Bosnia-Herzegovina opposed Slobodan Milosevic with an organized army. And unlike the Libyans, the Kosovar Albanians at least had a recognized guerrilla contingent. Finally, the anti-terrorist forces in Iraq and Afghanistan had and have all these things—state structures, trained armies, and local irregulars opposed to jihadism. The Libyan resistance seems to be rather the product of a spontaneous uprising inspired by the proximity of Tunisia and Egypt, and the contagious, heady lesson that autocrats can be overthrown. The demonstrations, abdication, and "soft landing" for Ben Ali and Mubarak, as well as, so far, for their former subjects, have been rendered impossible by Qaddafi, and may prove equally difficult in Syria. It may well be that this model—involving decentralized, local insurrectionaries to whom the West loans its air power, as in the Balkan wars—will dominate the rest of the "Arab Spring," and, in addition, may prove crucial to thwarting Mahmoud Ahmadinejad and Ayatollah Ali Khamenei in Iran. Still, the Libyan rebels have an advantage in Western military support, but no political authority of their own, no trained army, and no single leadership for their improvised militias. What, then, do they have that offers a clue to Libya's future? They have a flag. People around the world have seen the Libyan fighters carrying a red, black, and green banner with a crescent and star, the classic symbols of Islam, into battle. Some journalists mention that the flag is that of the former Libyan monarchy of King Idris, who lived from 1889 to 1983 and ruled from 1951 to 1969, when he was overthrown by Qaddafi. 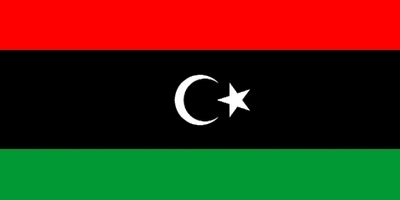 Whether the Libyan opposition displays this symbol out of patriotism, or disgust with Qaddafi—who replaced the tricolor with a solid green scrap supposedly representing the revival of Islam in his domain—or a genuine nostalgia and will to restore the monarchy, this is not an emblem, or range of aspirations, with which al Qaeda or other jihadists would be happy. A recent online photo shows a Libyan from Benghazi carrying a portrait of the late king. But there is more to the history of Libya, its pre-Qaddafi ruler, and his regalia. King Idris was head of a Sufi order, the Senussiyya, that distinguished itself in fighting the Italians who ruled over his country from 1911 to 1947, including Mussolini's fascists. (As Bernard Lewis has correctly pointed out, Sufis are peaceful but not pacifist.) King Idris was forced into exile, whence he continued leading the anti-Italian war. During World War II, Idris summoned his Sufi adherents to join the Allies against Germany and Italy, and with the 1942 capture of Benghazi by the British Eighth Army, he set up a capital there. The regular Allied troops in Benghazi were multinational, including soldiers from the British homeland, the colonies, and "free forces" of Poland, France, and Greece, anticipating the composition of the current anti-Qaddafi coalition. And the Sufis fought alongside them. The black stripe and crescent-and-star in the center of the pre-1969 Libyan monarchist flag represent the Senussi Sufi order. King Idris's realm was described in a 1993 academic volume, Polity and Society in Contemporary North Africa, edited by I. William Zartman and William Mark Habeeb, as "a state crowned by a pious Sufi sheikh," in which Islamic clerics were submitted to state control. Idris's father, Sheikh Ahmad Sherif Al-Senussi, supported the secularization of Turkey, the country where he gained shelter in 1918. When Qaddafi took power, he wiped out the Senussi Sufi centers, although it is estimated today that a plurality of Muslims in Eastern Libya have remained loyal to them. The Senussi monarchist tradition should be of interest in gauging Libya's future for another reason. In addition to state limitation on the powers of Islamic clerics (ulema), the Senussis originate in an earlier Sufi order, the Idrisiyya, that, at the close of the 18th century, sent North African representatives to Arabia, where the radical Wahhabi sect had lately taken root, to oppose Wahhabi fundamentalism and support modernization of Islam by removing the legal power of the shariah schools. Secularist, opposed to clericalism and shariah dominance, anti-Wahhabi, anti-fascist, and friends of the Allies in World War II: the flag of the Libyan insurgents, if it is more than a flag of convenience, should give heart to outsiders that there is a worthy pre-Qaddafi heritage in Libya, if only the Libyan rebels can reconnect with it.